Dr. Seuss isn't just for kids! Though Dr. Seuss wrote children’s books, you’d be surprised that much of what he writes about is very useful advice for people of all ages. In today’s society, which is often dominated by conformity, it’s easier to fit in than to stand out. Why would you want to be different in a group of people who are all the same? But being born to stand out doesn’t just mean embracing non-conformity. It can mean going against the odds and trying for a job you want, or even something simple like taking up a hobby that most people don’t pursue. 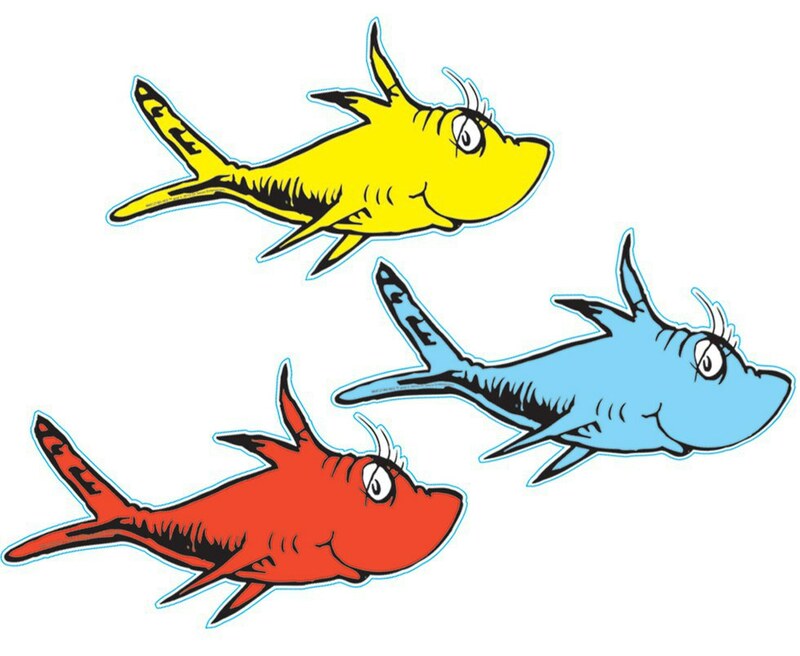 Dr. Seuss is urging us to do something very simple: think! Nowadays, it’s very easy to just go online and Google something instead of thinking about it on your own. When running into a difficult homework problem, some students just automatically grab their phones and try to find the homework online. 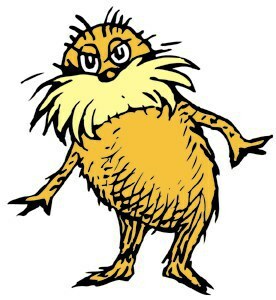 But Dr. Seuss is trying to encourage us to think -- about everything not just homework -- because we can truly come up with amazing ideas if we just leave ourselves time to think things out. Many things happen in our lives we don’t plan for. Sometimes we can’t change them. Many times we just have to hop on for the ride even though we may not want to. However, Seuss is telling us here that sometimes unexpected, unwanted situations can actually turn out to be beneficial. I remember when trying to make my schedule for senior year and I wanted to take European History, but I was given U.S. Government because it was the only class that fit. I hated politics at that time and wanted nothing to do with the class, but soon after taking it, I fell in love with the subject and am now considering it for a major in college. This resonates with the fact that we only live once and have to make the most of our time. It is up to us, and only us, to make sure we are doing what we love to do. My mom always says that only you can control your own destiny, and I think this quote illustrates that if you’re enjoying life, it is your choice to keep enjoying it. And conversely, if you’re not doing something you love to do, whether it be your job or the college you attend, you can change it. You deserve to be happy, so make yourself happy. Here, Dr. Seuss is urging us to give our opinions once in a while. A lot of times people are quiet and maybe too timid to be fully happy expressing their thoughts. But everyone has thoughts about things. We may not all agree but I think having conversations with people who have differing views than I do is important because I am able to learn so much more about the other side of the debate. And your opinion doesn’t always have to be expressed aloud either. Voting in November is one of the best ways to have your voice count. One of my favorite non-Seuss quotes is, “Don’t limit your challenges. Challenge your limits.” And though I think Seuss would reinforce this, he would also warn us that taking on too many challenges may prove to be difficult. We have to be aware of how certain choices to challenge ourselves can adversely affect different areas of our lives. For example, challenging yourself by doing a sport after school every day is great, but what if it begins to decrease your study time and you do poorly on tests? 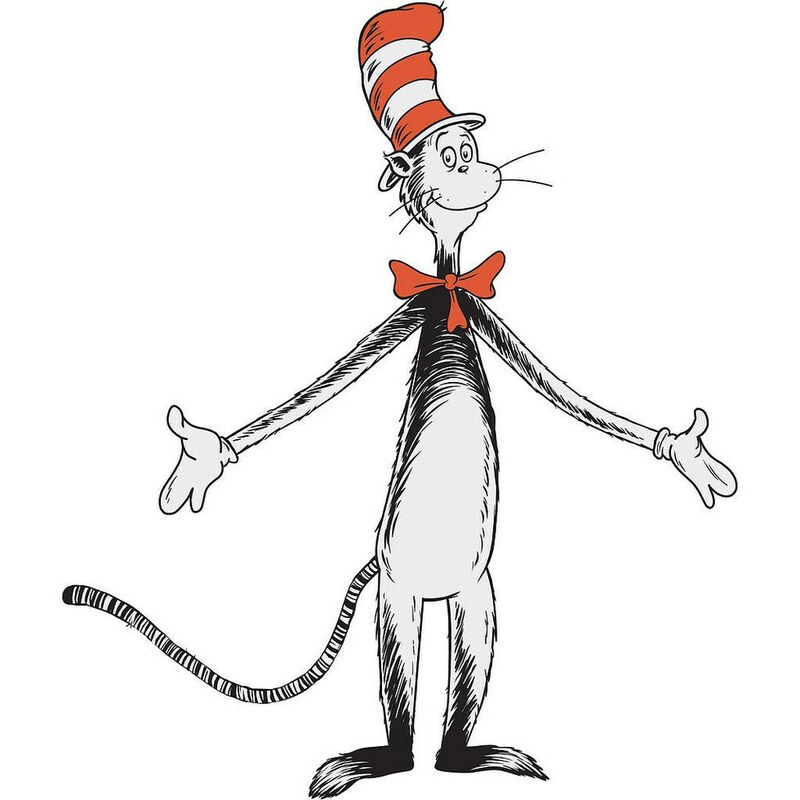 That is a decision we have to make, because Seuss does warn us that life is a great balancing act. This quote can relate to something simple like an art project not being great until it’s finished. But more so, I think it applies to the journey you have to take to get somewhere. So right now, college might stink but when you’re finished and get the job you’ve always dreamed of having, it will be worth it. People who want to be doctors may think that the four years of medical school and the residency is a hassle, but once they are a doctor, that journey won’t be annoying anymore; it will have been the most worthwhile experience of their lives. Almost everything we do in life is a challenge, but Seuss is telling us that we’ll be proud of ourselves once we get through the ‘stinky’ times. 8. 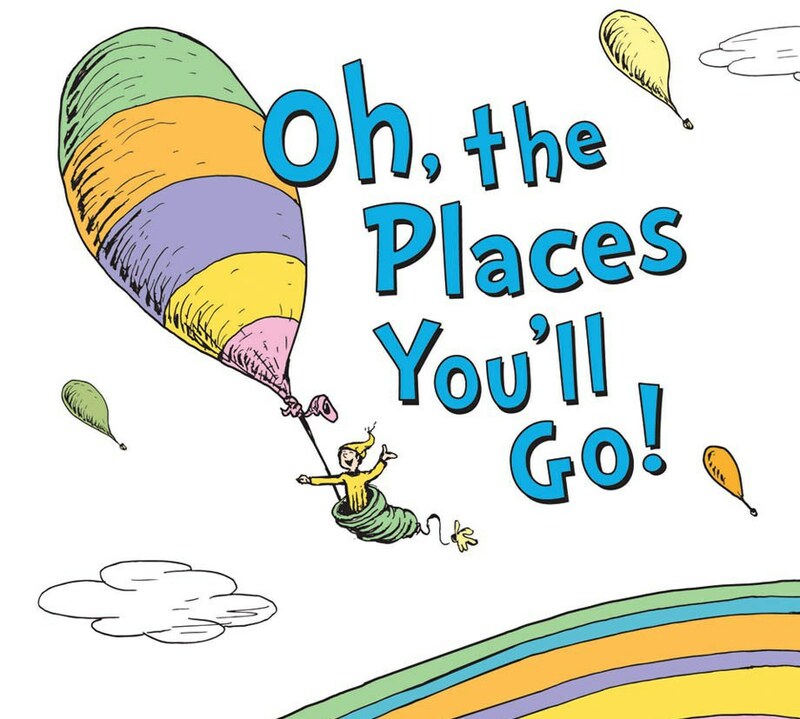 "You're off to great places! Today is your day! Your mountain is waiting, so get on your way!" I had to save my favorite for last. This quote is actually my all-time favorite quote and was the inspiration for this article. When I was writing my speech for my high school graduation, I Googled a bunch of inspirational quotes that I wanted to conclude my speech with. And this one was definitely my favorite. It speaks volumes to what you can accomplish in life. It reinforces that even though we tend to be pessimistic at times, we really are off to great places. We can be the best if we seize the day. Sometimes we have to leave one chapter of our lives and move on to the next one, although we may not want to. There are mountains in our lives that are waiting to be moved, but no one will do the work for us. Seuss wants to empower us to take advantage of the opportunities in front of us. We can do whatever we set our minds to do, so overcome those mountainous obstacles and you’ll feel amazing afterwards!